Famous seafood restaurant in an historic art-deco space. : Since the takeover by Pierre Bergé, this monument of art déco has known more lows than highs. Finally he's reached cruising speed and reseduced his guests. And no one find anything to say badly about the eggs "cocotte" with caviar, the john dory roasted with artichokes, and the freshness of raspberries with verbena gelatin. 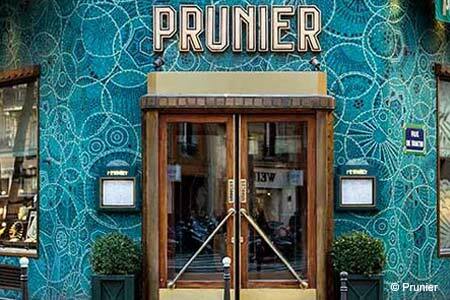 The attentive service at Prunier's historic art-deco space remains steady.